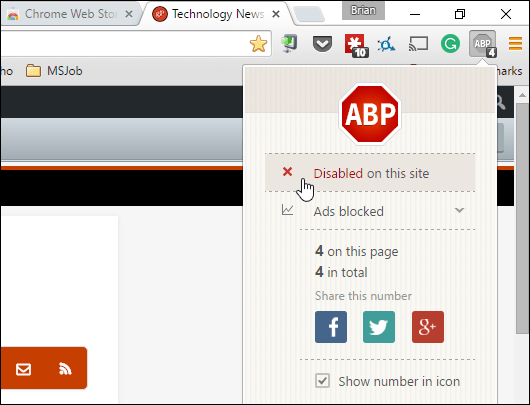 To disabling Ad Block Plus for groovyPost and allowing our ads through is actually easy. 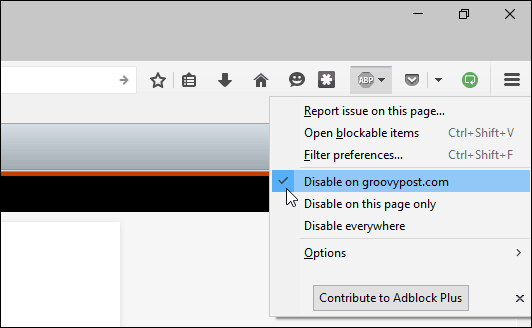 On Firefox, go to http://www.groovypost.com and click the ABP icon and click Disable on groovypost.com. If you're using ABP on Google Chrome, head to http://www.groovypost.com and click the ABP icon and click Enabled on this Site so you see the following showing it's disabled. That's all there is to it guys! Thanks for all of your support!